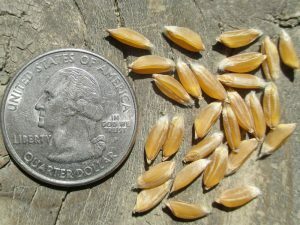 Timopheevii wheat is also known as Zanduri Wheat. It was domesticated from a wild grass (T. araticum) found in the Caucasus Mountain regions. This ancient grain is known for its exceptional flavor and resistance to disease. Bread baked using this grain was called the King’s Bread. 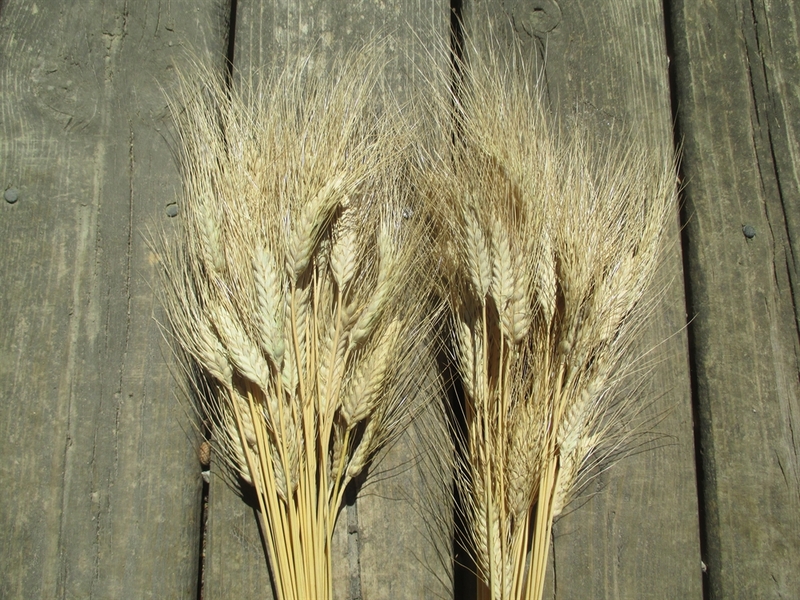 Timopheevii is a hulled wheat similar to Einkorn and Emmer. My original seed stock came from the USDA. I planted in the fall of 2016 and harvested on July 16, 2017. 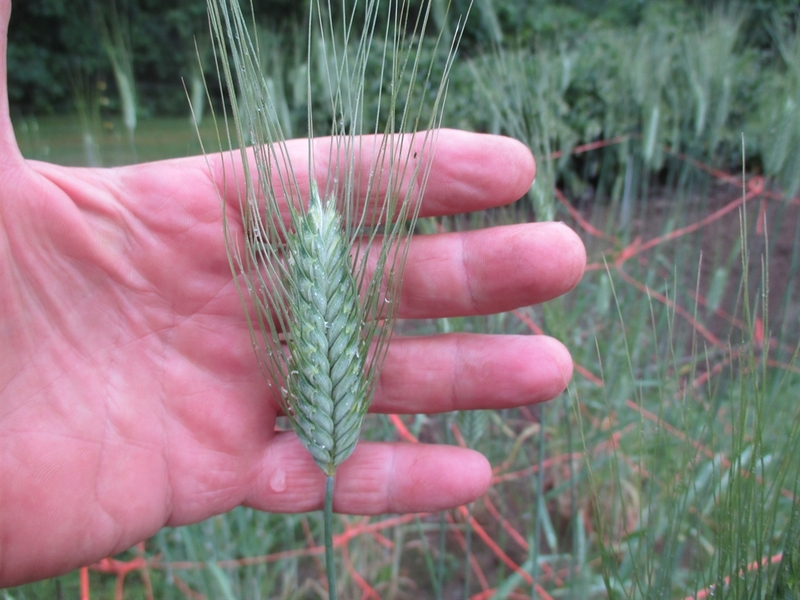 The plants reached a height of 42″ and had many grain bearing tillers (18 – 25). 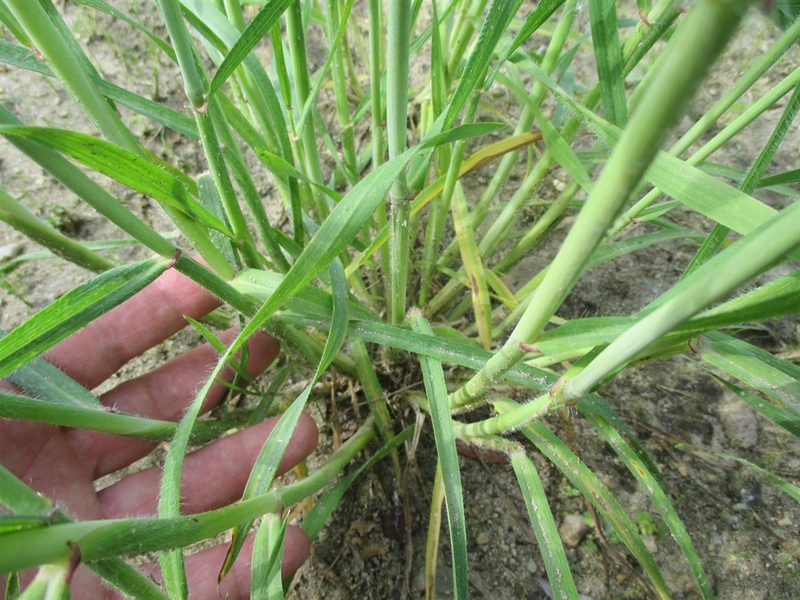 The plants also have very strong stalks and showed no signs of lodging. 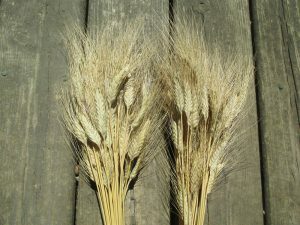 I noticed that after numerous rains, from flowering till harvest, the grain heads maintained beautiful color with no blemishes. 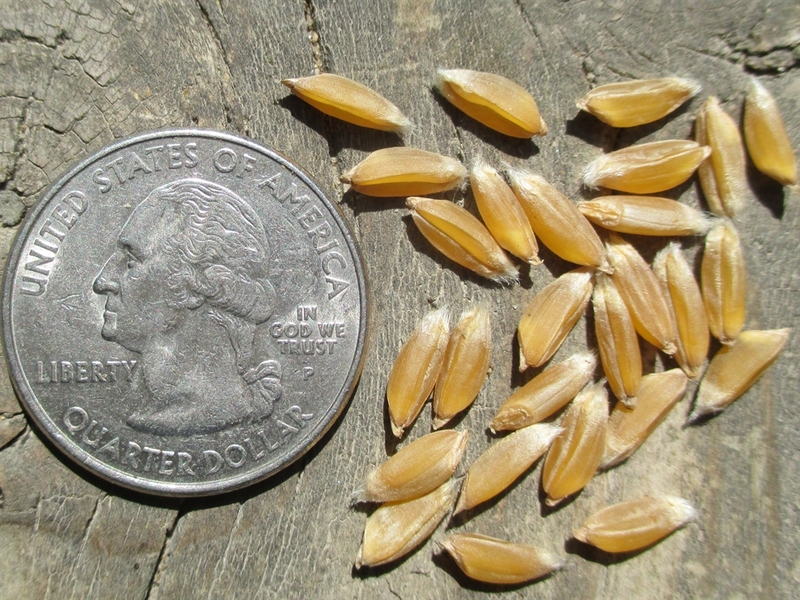 After threshing, I was also impressed with the plumpness and quality of the seed. Too early to give you a flavor assessment, as I only had 5 grams of seed to start with. Hopefully by next summer I will have enough grain to bake my own loaf of King’s Bread! I have a very limited supply of seed. I would urge you to save your own seed from this rare variety of ancient wheat. Sold with the hulls intact.